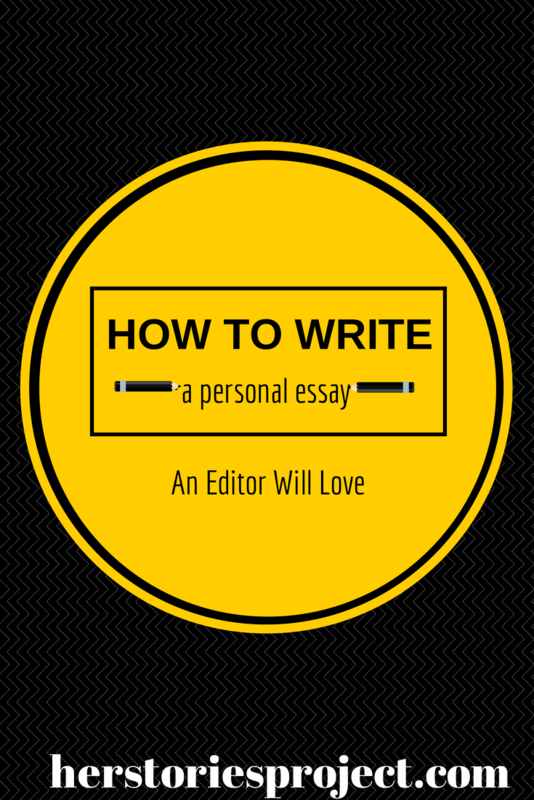 Ten years ago I thought I’d be the last person someone who ask about how to write a personal essay. Ironically, as a reader, I never used to be a fan of anthologies or collections of personal essays. As a teacher, I did love showing students how to write personal essays or short memoir pieces. As an English teacher and a writing instructor, it often felt miraculous to me how a mediocre piece could be transformed in just a few short weeks through revision, how a piece could evolve from bland and cliched to raw, powerful, and beautiful. But I never liked reading short pieces in my leisure time. It wasn’t until I started writing as a blogger and freelance writer that I started to appreciate collections of personal essays as a genre. I love seeing writers that I “know” online take different perspectives and approach topics with unique styles. (The anthology published by Brain, Child Magazine called This Is Childhood, featuring ten of my favorite writers, is a wonderful example of this.) As a parent, reading about other mothers’ experiences from so many different angles has helped me gain insight into myself as a mother. I’ve been thinking a lot about personal essays from three different perspectives: as a reader, as a writer, and now as an editor. I’ve been trying my hand at publishing my own pieces, and I know that it’s hard, really hard, to write a great personal essay. 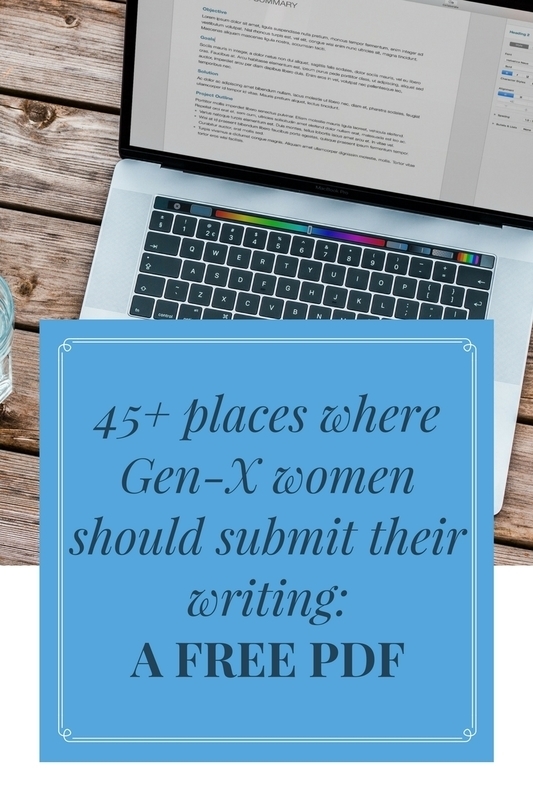 After our call for submissions for My Other Ex: Women’s True Stories of Leaving and Losing Friends, I also spent months reading essays with an editor’s eye, trying to decide which pieces to accept and which to pass on. And that was just as hard. Say it, no ideas but in things. THIS IS SO GOOOOOOD. My favorite essayist is Megan Stielstra. She writes without shame or concern for whether or not she is judged. She is vulnerable and takes risks and you feel so blessed after you have read her words. Her fabulous book is Once I Was Cool. Thank you for the suggestion, Alexandra! I love this post so much. As a former magazine editor I have seen hundreds of essays myself. You capture what is essential for making a personal essay “sing”. I particularly love the writing of Judith Newman, who writes for Allure, Vanity Fair, the NY Times Style section. I like Judith Newman too. I’m sure that YOU could write your own post, based on all that you learned over the years! Jessica, what a wonderful post. I’m so honored to be quoted. Thanks for your kind words about Use Your Words! And I look forward to your next anthology! I genuinely loved this post. It’s such a departure from what I am used to seeing and so very valuable. Thank you for your insight and passion in this area. I have to drop in two names that mean a lot to me for the way they make me think and feel. Jessica, this is a GREAT post, especially for writers aspiring to have something published, but isn’t quite ready for an entire book yet (ahem, like me). I definitely think personal essays or mini-memoirs are their own genre, with its own pluses and minuses. Writing these kind of essays are great for getting your feet wet, I think, and seeing if you can identify themes in your own writing that can be expanded into a longer work. Thanks for some great reminders. Thanks Jessica. I really enjoyed reading this and I’m grateful for the advice. I didn’t used to like personal essays either, until I started writing them. Then I started appreciating the skill involved in crafted the perfectly engaging story. I adored reading the 2013 Best American Essays. Oh, I love the Best American Series! Especially the Essays and the Magazine Writing. Such great writing! 1. I am a college eduetacd, professional wokring mom who works 40-45 hours a week and would like to work about 25 hours a week. I am mommy to an amazing 2.5 year old girl, and step-mommy to a sweet hearted 9.5 year old boy. I am the bread-winner and also work for a city gov’t where the benefits are AMAZING and the retirement plan is even better!2. I am torn between wanting to be home every minute of the day and wanting to have a secure future. I believe I could achieve my goal of 25-30 hours per week after working hard for the next year to pay off some debt, and allow my husband’s next review and pay increase to kick in. However, there would still be a downside to accumulating less retirement and having to pay out of pocket for health benefits, if my hours go below 32. I am just ranting now, but Mondays are soooooooo hard. I drive to work and am filled with lots of horrible thoughts like what if i die and never get to see my kids grow up? who will teach my daughter all the things girls need to know in life? etc. why do i do this to myself? i don’t know. And do you know what is even weirder? when my daughter was younger, under a year, i used to look forward (in a sick, guilt-ridden way) to mondays, so that i could enjoy my coffee and get back to ROUTINE. But now she is amazing and fun, and super super cool way more fulfilling than planning cities and cool places to live for people who could care less.ok. i am done. this is more than you wanted andrea. but i feel sorta better. Thank you so much for this. My journey toward appreciation and, eventually, love of the personal essay follows a similar trajectory. I also think that becoming a parent and having my reading time broken into chunks into which essays fit quite nicely contributed, too. 🙂 I’m grateful both for your wise tips and fabulous suggestions here! I love the concept of focusing in and out with a video camera. Fabulous advice, and I really need to figure out a way to take the time to make my writing better. Sigh. This is such a useful post. Even though I’ve written well over 100 articles and blog posts, I consider myself mainly a fiction writer (probably because I have an MA in Creative Writing.) Therefore whenever I write personal essays I’m never sure if I am getting it “right.” I am going to bookmark this so I can refer back and check through the next piece I write to see how it measures up! There are so many aspects of fiction writing that writers can bring to writing personal essays. I’m so glad that you found it useful! Jessica, I’m so glad I bumped into your link on Facebook, especially, since I sporadically jump on the site. I’m a children’s writer, but lately, the thought of writing a personal essay keeps crossing my mind. Thank you for taking the time to share such valuable information, in addition to your generosity. I will bookmark your blog. This is great. I love the part about developing characters. It’s the part I always forget when I am doing a personal essay, it feels strange to think of myself or my family as characters. But when I write about us all, we are. Wonderful points here Jessica — and so glad you liked This is Childhood! This is great insight into a genre that admittedly gave me fits when I first started writing seriously. I couldn’t agree more that adopting fiction techniques adds so much to the essay, but also important is writing as close to the truth as possible. The best essays draw the reader in to experience the same events and feelings as the writer — as you said, it makes the experience universal and that’s what makes the essay impactful. Thank you! This is EXACTLY why I avoid self checkout at all costs. Just yareesdty, I watch the “long” line at the regular line right next to me. By the time I was through with my items, I would have been home — if I had gotten in the regular line with all the other people. Ugh. Hey. I recently found your website the application of windows live messenger. That is the seriously well prepared post. I am going to you should definitely take a note of it along with go back to discover more of the helpful details. Basically submit. I’m going to definitely comeback. Thank you for this post! I am still working at finding my voice and I found this so helpful, it has given me a lot to think about. Essay writing is very interesting to me essay writing services reviews is the most important for good quality gassy. This was an extremely encouraging post for me Jessica. I recently began blogging after talking about “writing” for the past twenty years of my life. The majority of my stories are short, humorous personal essays mostly involving life with my Irish born mother who is my biggest inspiration. Her capers are the fodder for numerous tales. I have tried very hard to follow most of your tips in composing my stories and believe I generally succeed. My biggest obstacle is how to get my stories seen by more readers other than my friends on Facebook! I contribute to a wonderful, quality parenting website every other week that has a small following but would love to receive more feedback on my stories. I am not sure how to accomplish this goal. What a wonderfully helpful post! I’m new to essay and blog writing, and this post really made me rethink my approach to writing both essays and blog posts. Many thanks for that. this is just what i needed to hear from an editor and i am truly looking forward to submitting my entry for the motherhood project.Hopefully,it can get selected though.Either ways,i am excited to venture into personal essay,as it could help me in my blog as well.Thanks for the lovely tips. I have only dabbled in some short works and have some novellas to work on so far.Perhaps,writing essays will sharpen and hone my writing skills even further to make me an accomplished writer!! !